Cost Accountants profession to grow by leaps and bounds as GST comes into effect from 1st July 2017 provided we take proper steps as mentioned here in the article. The Indian GDP is set to create a record history of GDP and inflow of global capital into the country in the long term. As tax evasion will come to no existence in the long term the wealth and output of capital will significantly. The GDP growth in the long term would be achieved when the GST will be connected with the Income Tax return which will eliminate the tax evasion while filing return. Currently one take the credit of VAT and other taxes but while submitting return reduces in Turnover to save income tax. This road will be closed in the next 2 to 3 years. Govt revenue collection will increase stupendously and would make Indian govt rich in terms of capital which will be deployed later on for Indian economic growth. India will not have to borrow from World Bank etc for its infrastructure development. 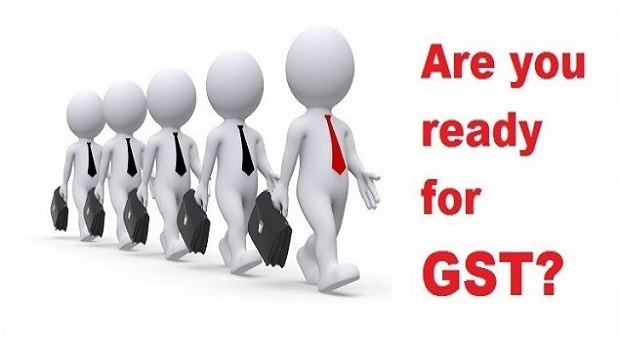 Now the opportunity of Cost Accountants is huge from the implementation of GST. It’s time for practices for the profession to flourish. It times for the practicing professionals to scale up the opportunity of growth as GST implementation comes into play. The biggest challenge across all the industries is the significant growth of compliance and finance cost for an organization. Hence this is the key place to ahead for practicing opportunity as many companies will outsource the same due to rising cost. I find salaried cost accountants to come up into practicing field as the opportunity is huge. Micro and small and medium enterprise will need huge support and will create huge opportunity for the practicing community. The Institute should ask the corporate of India to outsource these works so that the cost remains moderate. Gone are the days of traditional audits. Now a question will come up in mind how the cost of corporate towards compliance will grow. One corporate has to file 37 returns in a year. Yes. Don’t be surprised and that’s the opportunity for the profession too. GSTR9- Annual Return 31st December every year. Another biggest challenge where cost accountants can demand for outsourcing of the GST work form the corporate is the Mismatch of the GST submitted for getting credit. This mismatch might lead to huge debt if the other party is not under the GST purview. There are CGST and SGST followed with IGST and hence the cost of finance department and also the compliance cost will be huge. Coprorates have to keep huge cash flow for advance payments and then also monitor whom they are dealing and are they registered GST candidates or not. Hence the trouble of management of this new taxation regime will make things more complicated at the ground level. This is where practicing demand increases for the cost accountants and salaried cost accountants can come up into practicing since the supply of work is more than the demand of cost accountants hence its now a win- win proposition for the cost accountants . Salaried cost accountants can now join the practicing field. Its huge opportunity. Well a complex or semi complex organization will not be able to manage and handle so many returns and books hence outsourcing the work and working like an KPO or BPO is the best part for the cost accountants. Yes outsourcing business model will make the growth and huge.One does not need all certified cost accountants. Just hire intermediate students pay them good salary since its a competition to earn and capture the market size. Let your huge man power do the work and you the expert qualified professionals look after the process of execution of the work. Its time for experienced cost accountants to come up and join hand with young cost accountants to create these organization of practicing and en-cash and educate industries to outsource the work. The institute can also create a level playing field for the intermediate students so that they can be employed and can join hands to manage this huge inflow of work and opportunity. We need the passing rate of the institute to be increased in the coming days so that one can take the advantage of more members joining the practicing field. The institute can easily give a license to the intermediate students to do GST related work provided the final signature is done by cost accountants firms. This will lead to more supply of manpower in the market which is highly required. We have other competitors in the industry and their numbers are 10 times than cost accountants hence we need these type of steps to be included. Don’t forget if tomorrow the Govt of India find that Indian corporate are facing problem due to lack of professionals then he might order some other professionals to conduct the work by offering technical knowhow. We need faster approach since huge Tsunami of Work is just awaited. Gone are the days of traditional audits.